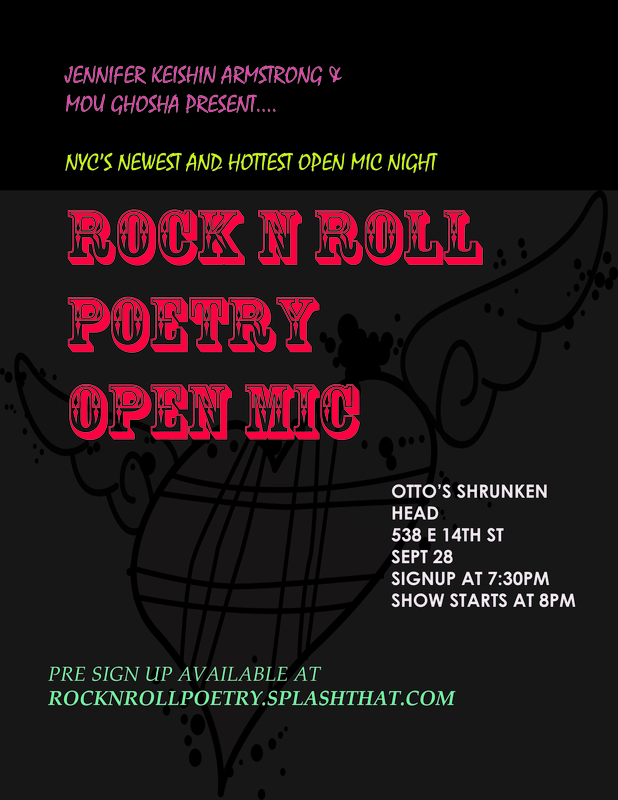 I’m cohosting an open mic at Otto’s Shrunken Head in the East Village at 8 p.m. Sept. 28. It’s our official launch party, so please come by whether you want to perform or just watch. It’s our debut at Otto’s, which is the perfect venue, and we want to make a big impression … which means lots of people buying drinks! As for performers, musicians and spoken-word welcome — all levels, covers or originals, we love them all. I’ll personally be doing some Hole, 10,000 Maniacs, and naturally, a selection from the original motion picture soundtrack Coyote Ugly. You can get info and even sign up for a slot online here.